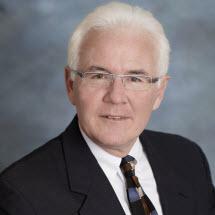 Joe Calhoun is a registered patent attorney seasoned in both business competition and technology protection law. Mr. Calhoun has earned over twenty-five years of experience and judgment in commercial litigation and counseling, and he has been honing his craft in intellectual property law since approximately 1993. His primary practice areas include procurement and transfer of rights in patents, trademarks and copyrights, as well as enforcement of (or defense against) claims involving such intellectual property rights. Throughout the years, Mr. Calhoun has also assisted numerous clients in business start-up organization and expansion, commercial competition, employment issues, and a wide variety of business contracts and disputes. He does so in a manner which is readily understandable, prompt, and cost effective. When suggested by client circumstances, Mr. Calhoun crafts creative legal solutions for businesses and individuals in need of guidance and courtroom representation, confident in his ability to work both smarter and harder. After earning his Bachelor of Science degree from Tulane University, and graduating from the University of San Francisco School of Law in 1983, Mr. Calhoun started his legal career as an associate with Tarkington, O'Connor and O'Neill in San Francisco. He subsequently returned home to Little Rock, Arkansas and clerked for the Arkansas Court of Appeals. Mr. Calhoun then entered private practice with a well established business law firm, departing as partner on the eve of 2000 to better concentrate his legal practice in the areas of patents, copyrights, trademarks and business competition. Yet Mr. Calhoun continued to maintain his license to practice law in the State of California, and over the years he has represented a number of clients in litigation in California (and eight other states). Mr. Calhoun is expanding his California legal practice, returning to his "legal roots" by associating with O'Connor and Associates as "Of Counsel". As a registered patent attorney, Mr. Calhoun offers legal expertise that many law firms do not always have in-house. Mr. Calhoun is often retained through referrals from clients' attorneys or accountants, and he greatly values his working relationships with such referral sources. Naturally when his services are retained through such referrals, Mr. Calhoun adheres to a "no poaching" policy, voluntarily limiting his engagement to the matters he was retained for.